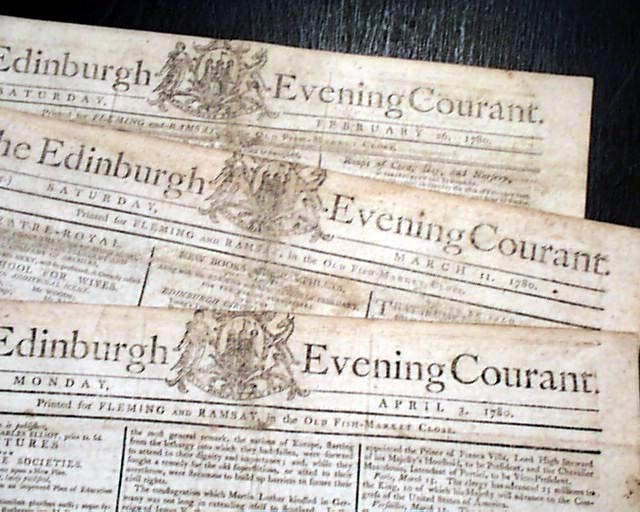 EDINBURGH EVENING COURANT, Scotland. 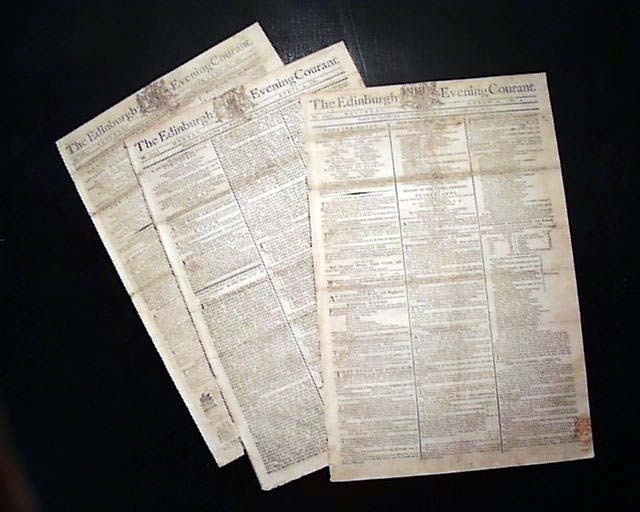 A trio of issues from during the Revolutionary War dated Feb. 26, March 11 & April 3, 1780. Each issue is from the midst of the Revolutionary War however I find little or no content relating to the war. Much news from Great Britain and elsewhere.